Just when you get used to the routine at your daycare center's baby room, your child gets promoted to the toddler room. This change comes with a new list of things your child needs each day, and your care provider will likely inform you of the items you need to send (and those you can retire). The list of recommended items is very likely to include the following. If your child is still in diapers, you may be asked to send a case of diapers at a time. Anticipate that your toddler will require six to eight diapers per day and plan accordingly. Also, include diaper rash cream or ointment. Remember to include extra plastic pants if you are using cloth diapers. Send resealable plastic bags for the dirty ones. If your child is potty training, provide the same number of training pants as diapers because many dry disposable training pants are wasted as part of the training process. As for underwear, accidents can and will happen. Send several pairs as back-ups. As your child gets older, wipes will be used for more than just diaper changes. Provide a full container initially and a refill package as needed. Your daycare provider may have plenty of room to store your child's supplies, or space may be limited. Be sure to ask what you can leave there. If not much, consider leaving extra supplies in your car for easy access at drop-off. Send two to three extra outfits to be stored in your child's cubby. You may find that your toddler goes through more clothing changes per day than he did as a baby. More freedom (to eat solo, paint, play outside, etc.) equals more mess. Store each outfit in a resealable plastic bag, which can be used to send dirty or wet clothes home. Be sure to include extra socks and underwear as well; some centers may also require that you leave behind a spare pair of sneakers. If your childcare provider uses bibs at toddler mealtime, aim to keep four or five in your child's cubby. As toddlers begin learning to feed themselves, it can be a very messy process. Most daycare centers understand the need for outdoor activities so your toddler will be sent outside to play once or twice per day. Since weather and temperatures change, consider keeping a bag of outerwear at your daycare. Include an extra jacket or sweatshirt, a hat, and some mittens, so you won't have worry if a day gets chillier than you expected. As your toddler gets older, art projects will come into play. While this may become your child's favorite time of day, the addition of crafts will increase the mess. 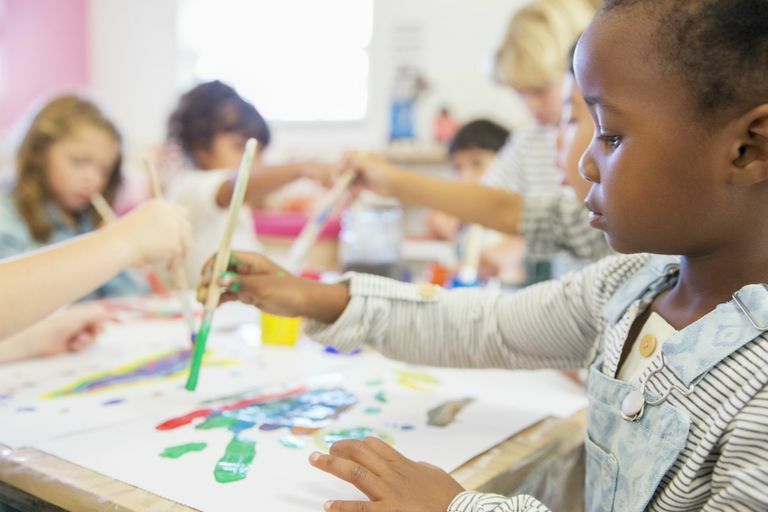 If your daycare doesn't provide it, think about sending a large T-shirt or paint smock that your child can wear to protect clothes during art time. Put your child's full name on every item that you send to daycare. Use a permanent marker or consider washable labels or sew-in name tags. Naps will likely take place on a nap mat or cot instead of a crib. Check with your daycare, but many require you to provide the mat or, at the very least, a mat cover and a blanket. Nap rolls, which include a mat cover, pillow, and blanket, are another great option. Since accidents frequently happen during nap time, you may want (or be instructed to) send back-up bedding, just in case. Many daycare centers require parents to provide drinks (though most offer milk), snacks, and lunch on a daily basis. If yours does, ask your provider for a list of suggested foods as well as banned foods, as many centers are nut-free. Also, ask if you can store food in a refrigerator and if they are able to re-heat items you send. Many centers do not offer these accommodations, which will affect what you can send and how you send it. For example, you may consider packing food with an ice pack or in a thermal container. Depending on the age of your toddler, send snacks such as goldfish crackers, dry cereal, cheese slices, applesauce, yogurt, pretzels, sliced fruit, raisins, or any combination of the above. If you are required to provide cups for your child, send at least two that are clearly labeled with his or her name. Remember to pack a spoon if your daycare doesn't provide utensils. Since your toddler may need a pain reliever, fever reducer, or teething ointment at daycare, send individual medicines clearly labeled with your child's name, as well as proper dispensers. The same goes for any medication your toddler may need to manage any chronic concerns. Your toddler is also likely to be outside once or twice per day, weather permitting, so apply sunscreen to your child as part of your morning routine and be sure to keep some at daycare so it can be reapplied throughout the day, as needed. Ask your daycare provider about medication and sunscreen forms. It's likely you will need to sign these before a caretaker can administer medication or apply any type of cream to your child.